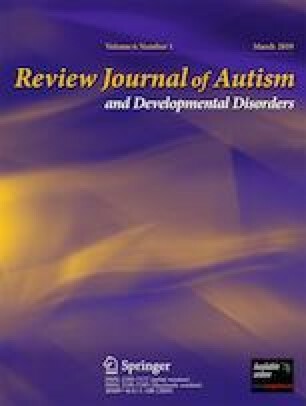 The current review provides an original examination of the literature involving mood as a dependent variable in behavioral interventions designed for individuals with autism spectrum disorder (ASD). Twenty-nine single-subject experimental design studies were identified through systematic searches and evaluated in relation to the following variables: (a) participant and setting characteristics, (b) experimental design, (c) approach to mood assessment, (d) intervention procedures, and (e) intervention effects on mood. The experimental rigor of the included studies was evaluated on the National Autism Center’s Scientific Merit Rating Scale (2009). Results suggest that behavioral interventions can be successfully used to improve the mood of individuals with ASD and that observable indices of mood can be operationally defined and measured among these individuals. These observable indices of mood could be more often measured in behavioral intervention research, particularly when improved quality of life (QoL) is a stated goal of intervention. Limitations of the current research base are discussed and suggestions for future studies incorporating measures of mood in ASD populations are offered.